Discussion explores the confusion that seems to exist among some educators. They misinterpret it and either think there is no need for intentional teaching, think it is formal instruction in a play-based curriculum or are unsure of what it looks like in practice. 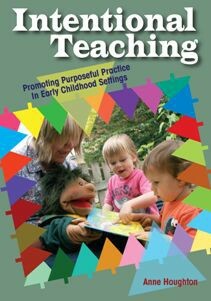 Through a shared conversation, the author presents practical strategies with insight, humour and common sense which will resonate with educators of all levels.